On December 4, 2015, General Manager Steven Hurst and Vice President and Owner, Jamie Bishton of Marina del Rey Toyota presented a donation of $1,000 to Dominick Flores the head coach of the Venice High School Girls Basketball team. 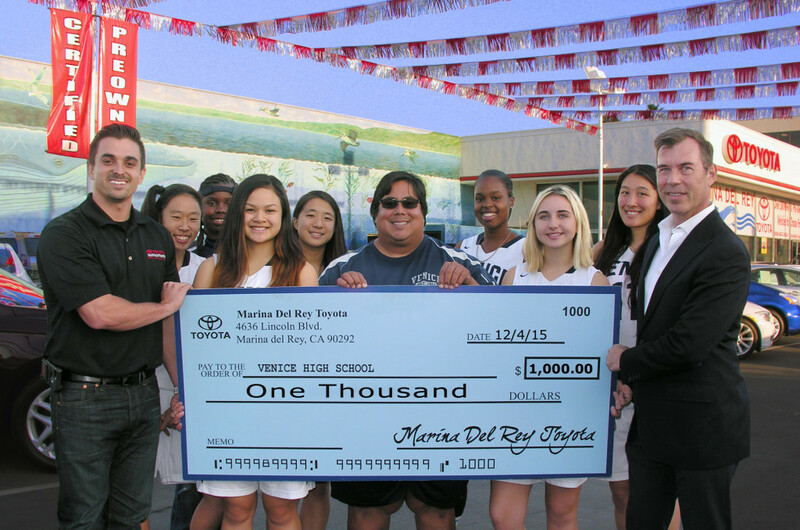 This is the 10th year that Marina del Rey Toyota has supported Dominick and the Venice High School Girls Basketball team. Marina del Rey Toyota, and Toyota Motor Sales believe in supporting the community in which they do business.